Posted on Jun 3 2014 at 3:50 pm. 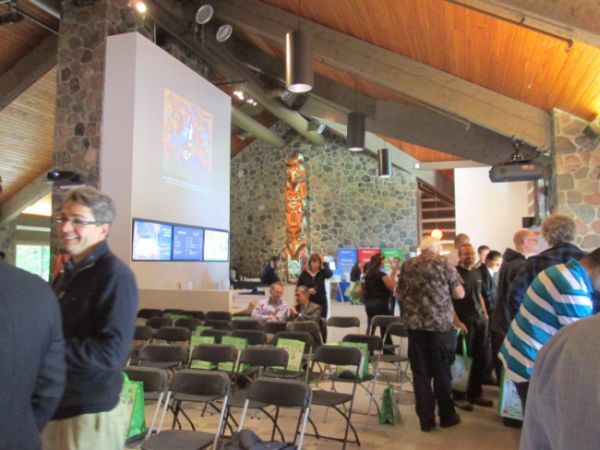 Amidst the soaring high ceilings and cabin-comfort feel of McMichael Canadian Art Collection, last week Nedco and OSRAM introduced some excellent news for all those who are interested in the growing trend toward cost-saving, energy efficient LED lighting. There are more product options, ready to fit more fixtures, and provide more savings! New offerings are not only on par with but surpassing CFL, halogen, and incandescent technologies in two important ways: savings, and quality of light. For galleries, museums, and theatres across Ontario, this means that LED lighting not only makes your facility greener and more sustainable, but it also helps your bottom line and provides a superior visitor experience. With incentives, many organizations realize full payback in under one year. Best of all, savings continue to accumulate long after the glorious payback mark! 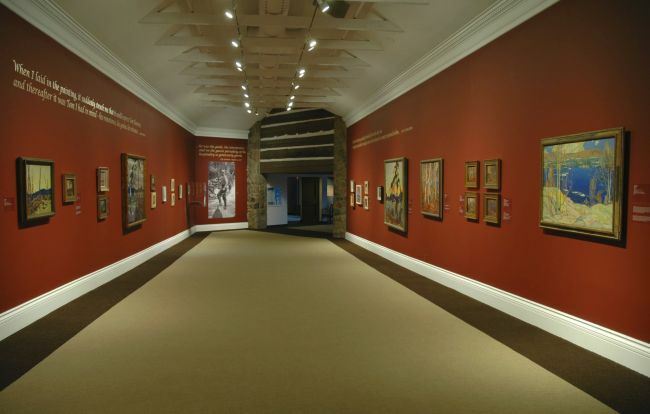 McMichael Art Collection with LED lighting. 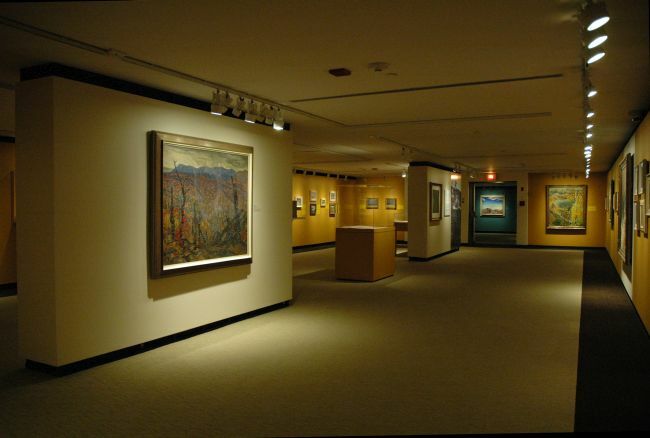 In 2010, McMicahel Canadian Art Collection became the first large galleries in North America to switch over to LED lighting. PowerStream and OSRAM SYLVANIA were partners on this incredible transition. They reported significant savings on electricity (more than 60%!) and gallery staff added: “Not only is there sustainable benefit to the environment and operating costs, but to the artwork as well, since LED lighting does not emit harmful UV radiation and heat that adds to the deterioration of paintings.” On the tour, we saw how the light angle and colour flatter paintings. They’re “like jewels” on the wall, one onlooker commented. Lighting aficionados and gallery staff on the tour were impressed by the low spillage and the range of earthy, red hues that appeared noticeably richer under LED lighting. On the world stage, OSRAM’s LED success stories include the renowned Sistine Chapel in Rome, home to Michelangelo’s delicate frescoes, drawing open-mouthed stares from millions — roughly 5.5 million people visit this sacred site annually. Closer to home, the Chapel at Royal St. George in Toronto has also benefitted from OSRAM’s LED lighting, which fit existing historical fixtures. They also improved visibility of the stunning stained glass and double hammerbeam roof – the only one of its kind remaining in Canada. LIGHTING PRO TIP: LPW or lumens per watt is the measure that matters! This is the “miles per gallon” for lighting, your best indicator of efficiency. 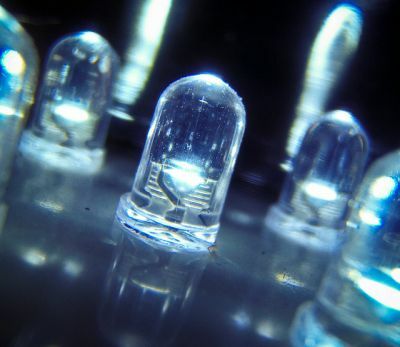 The LPW delivered by LED technology has been on the rise over the last few years, now surpassing other technologies. PowerStream offers Conservation and Demand Management services and can help you access incentives from the Ontario Power Authority. The Better Buildings Partnership Loan Program for Toronto-based organizations. They use a handy Intent to Apply form that’s a quick and simple way to find out whether funding can be made available. Nedco‘s teams can assess your current setup and make recommendations including incentive options and estimated payback date. LED close-up by Mike Deal, CC Licensed – CC BY-ND 2.0. Resource Library — for all things facilities related. Find case studies from organizations like yours, figure out feasibility studies, and more! Posted on Apr 11 2014 at 12:05 pm. In this day and age however, being green has taken on a whole new meaning and a whole new importance; and while it may not be easy to be green, taking care of the environment by being green is a modern necessity. Posted on Dec 2 2013 at 11:19 am. Sometimes, it is best to just dive in. A cool lake on a hot summer day or a delicious plate of pasta, both deserve the dive in treatment. Renovations…not so much. Bill Coleman and Laurence Lemieux, Co-Artistic Directors of Coleman Lemieux & Compagnie did just that and admittedly, “did it all wrong”. The end result however is more than all right. Posted on Oct 16 2013 at 11:55 am. After a few decades in school, the Thunder Bay Art Gallery is finally graduating. 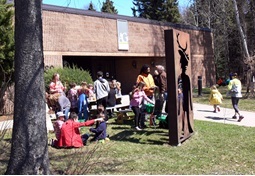 The gallery has been located in a hidden away corner on the campus of Confederation College for the past thirty-seven years. Those years are in the process of coming to an end. The Gallery has outgrown its current location. 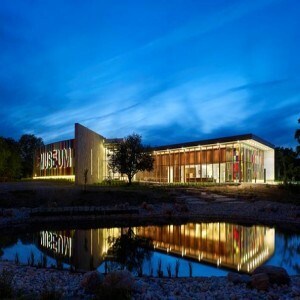 Home to one of the largest collections of contemporary Aboriginal art, the Gallery needs more space to exhibit and properly store these works as well as to present public programming. 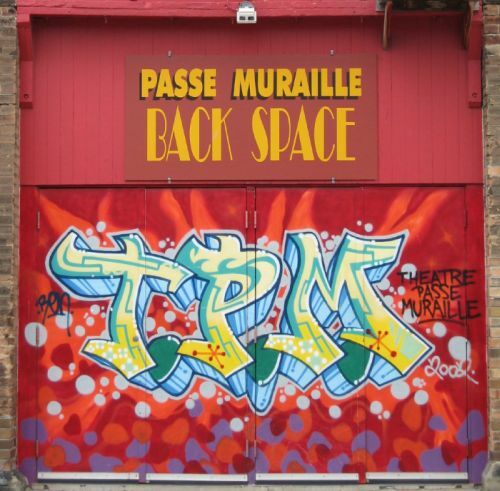 The idea to move came about during a strategic planning exercise in 2009. Posted on Oct 10 2013 at 10:24 am. In 1912, disaster had to be on peoples’ minds. After all, the unthinkable had happened when the unsinkable hit an iceberg in April that year. One can only imagine that William Henry Breithaupt had preservation and disaster avoidance on his mind when he dreamt of a fireproof county building in November. The Waterloo Historical Society held its inaugural meeting in November of 1912. 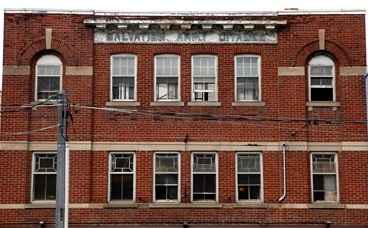 One of their goals was to amass and preserve a collection that represented the history of Waterloo County and to some day have a fireproof building for its preservation.